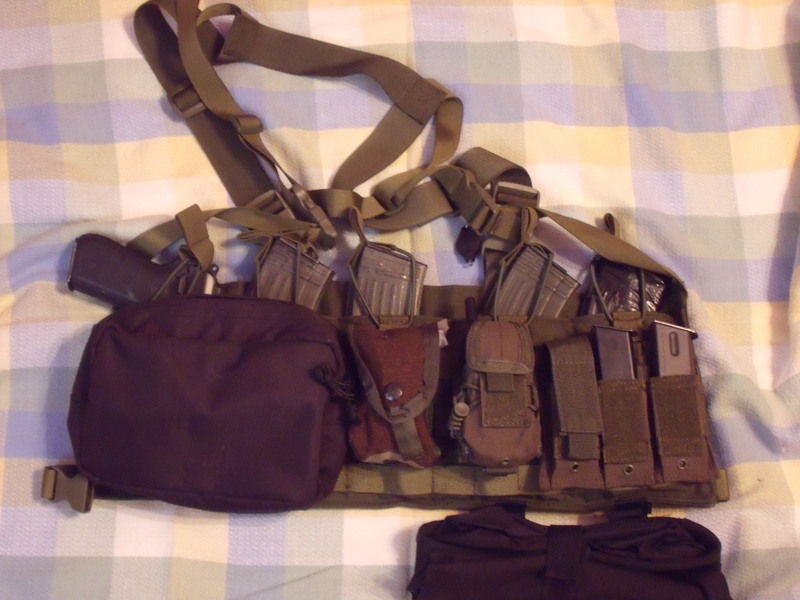 One of our users that is a big fan of the AK47 chest rig sent us a pic of his load out on the rig. 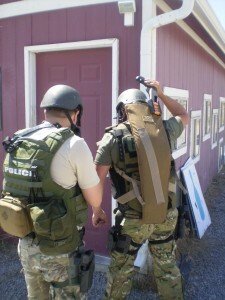 He had the opportunity running the rig over a weekend tactical training event. Black GP Pouch: Would prefer something an inch less in depth but this works. Carries batteries, weapon parts and tools, spare 5 round magazine, Power Bars, etc. Woodland grenade pouch is holding compression bandages and gloves. OD Green Pouch has a Tri Square TSX300 eXRS radio. OD Green triple mag pouch left to right has a flashlight and 2 pistol mags. 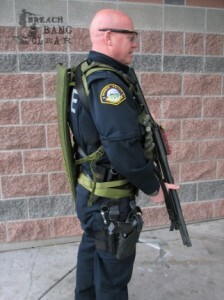 Our friends at Solider Systems have finished the evaluation of the Shotgun Scabbard. 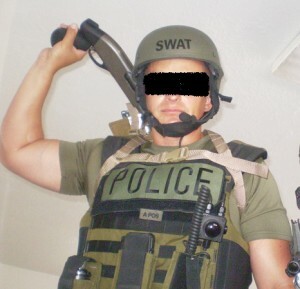 They provided us with a few pics of an officer wearing the scabbard and drawing a shotgun from the scabbard. They made some great improvement recommendations for the Shotgun Scabbard that we had already started to implement. We are now placing a piece of velcro between the pry bar tool pocket and the top of the shotgun scabbard for placement of ID. This shotgun scabbard can be modified. We have added molle for attachment of pouches, cut it down to fit shotguns as short as 10″ barrel and added padded shoulders. The latest and greatest ideas we are working on is an attachment for bolt cutters to the back of the scabbard. 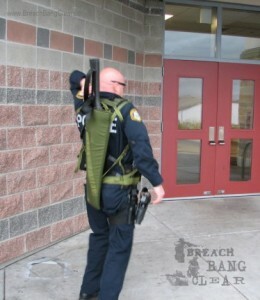 Just image a breacher with a ram, shotgun gun, pry tool and bolt cutters. Basically there is nothing he can’t get through. 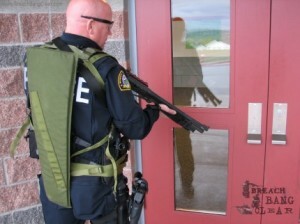 This SWAT team has been using the BCS shotgun scabbard for a awhile now. 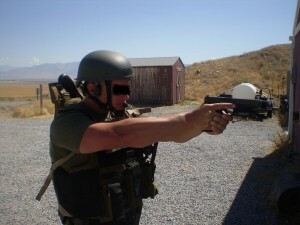 They sent us some pics from a day at the range during breacher training.